Following three train derailments on Thursday, the Congress slammed the Narendra Modi government, saying it should be renamed the "derailment sarkar". "Third train derailment today (Thursday). Safety in shambles. 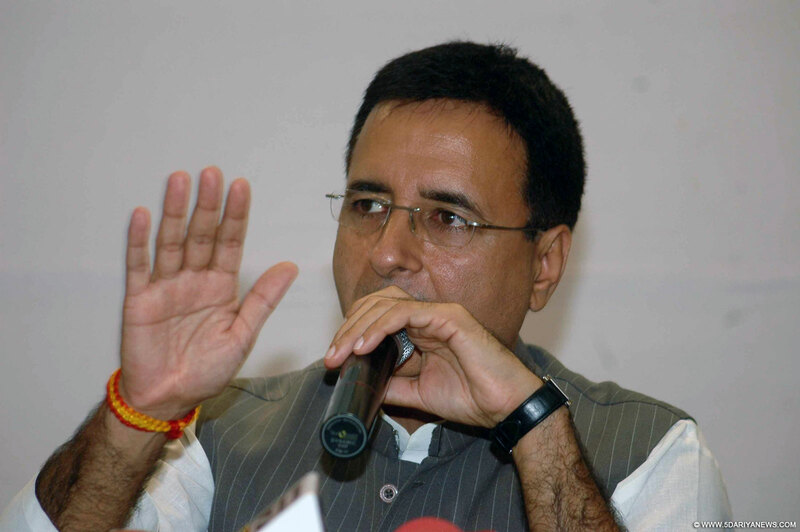 Modi Sarkar should be renamed as 'Derailment Sarkar'," tweeted Congress spokesperson Randeep Singh Surjewala.Three train derailments rocked the Railways within a span of 12 hours on Thursday -- three days after new Railway Minister Piyush Goyal took charge, leading him to order an immediate review of safety standards.Earlier after the second incident, Surjewala had said: "Second derailment today. Daily train accidents expose grave threat to passanger safety as Railway Ministry remains in deep slumber. "He also said: "Another train accident caused by derailment in Uttar Pradesh post reshuffling of cards, when will we have passanger safety measures in place?"